Why Choose American Healthcare Services, Inc.
From hourly care, overnight care to long-term care, American Healthcare Services has your back. We make daily living easier by providing you with professional care. Voluptate velit labore quis veniam excepteur culpa. Ut dolore sit dolore, dolor aute. Welcome to American Healthcare Services, Inc.
You have a choice to pick the best homecare agency in Washington. Here at American Healthcare Services, Inc., we help you live your life to the fullest through our advanced home healthcare services. There is a growing number of Americans who opt to stay at home during times of illness or recovery. More and more seniors also prefer to live independently in their own residence with their loved ones. Considering this, American Healthcare Services, Inc. provides the citizens of Washington with access to supportive care and home based medical assistance through our services. They range from Skilled Nursing, Homecare, Elder Care, Developmentally Disabled Care, to Durable Medical Equipment. American Healthcare Services, Inc. works closely with your physician in designing your specialized home care plan. We consult with you and your medical providers to make sure that services we provide are the most appropriate for your health conditions. At American Healthcare Services, Inc., you can expect services to be available on an as needed basis with scheduled visits to homebound patients. If you need our healthcare services, we are available 24 hours a day and seven days a week! 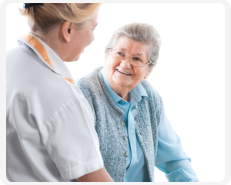 Our mission is to provide the highest quality home healthcare in a dignified manner to our clients. We strive to render these services at a competitive price with a goal of exceptional satisfaction for the community we serve.